Yesterday opened at 2567.50 and briefly touched the front of the B/B zone before moving down to test the prior settlement and vpoc at 63.50. 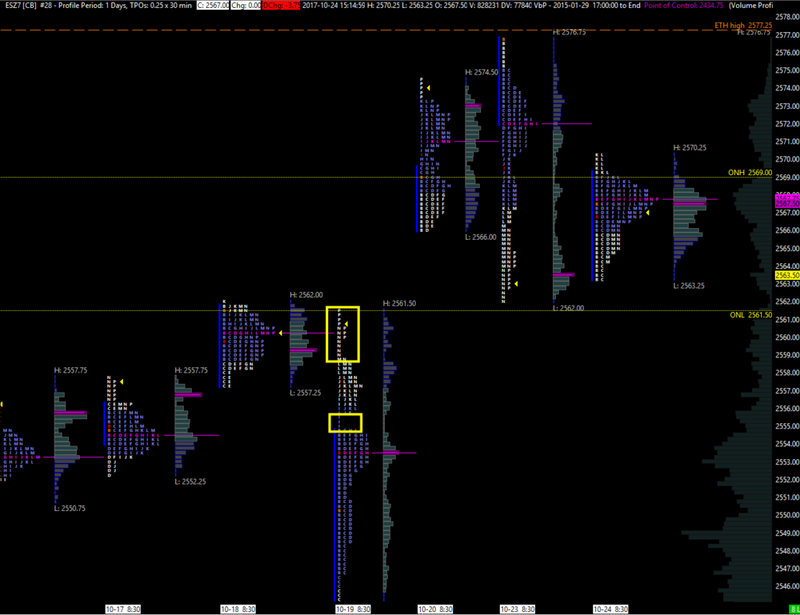 There was no follow though and a poor low was left followed by a squeeze up to the top of the B/B zone. Underlying stock momentum was weak, however, and again there was no follow through to the upside this time. Overnight so far the market has tested the bottom of the 60.50-62.25 zone with the current range 60.50-67.00 versus settlement at 67.25. Yields have jumped across the treasury curve overnight with a bounce in the dollar and some key technical levels being breached. I've kept the zones the same as yesterday. Clearly the more the 60.50-62.25 zone (IS) gets hit the weaker it becomes and the more likely we see the market auction down through to the other side of the current range, though I would still be looking for reactions at the lower zones (dependent on market state/context). There is poor structure below the swing low at 42.50 from last Thursday down to the 2507.75-09.75 breakout zone, so in the event of a move holding below 42.50 things could get ugly fast for longs (not that i'm expecting that today, but that's the point, it's when you least expect it sometimes).